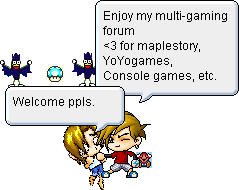 To the new forum, Tehgamerz, we're public now! New members read the rules and have fun! I'll be hosting TehGamerz games at Yoyo Games, the account is found here. » Don't let the Mod say anything! » You know me. Everyone does!